Lamar Advertising is one of the largest outdoor advertising companies in North America, helping both local businesses and national brands reach broad audiences creatively and efficiently. 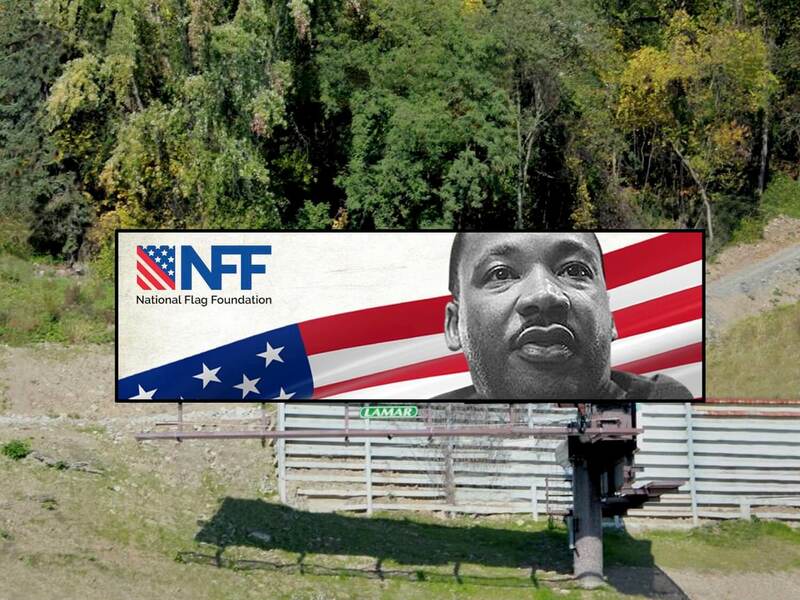 Lamar Advertising is a true partner with the the National Flag Foundation. They have given both their time and the product they market everyday, their adverting space, to help the our organization gain valuable awareness in the marketplace. Up to this point, they have designed and run five different executions on days surrounding patriotic holidays such as Flag Day, Memorial Day, and the most recent, Martin Luther King Day. “We can’t thank them enough for embracing our mission and helping our brand to become better establish across the country,” said NFF Board Chairman Romel Nichols.